← Horsin’ Around with the Perfect Pattern Parcel! 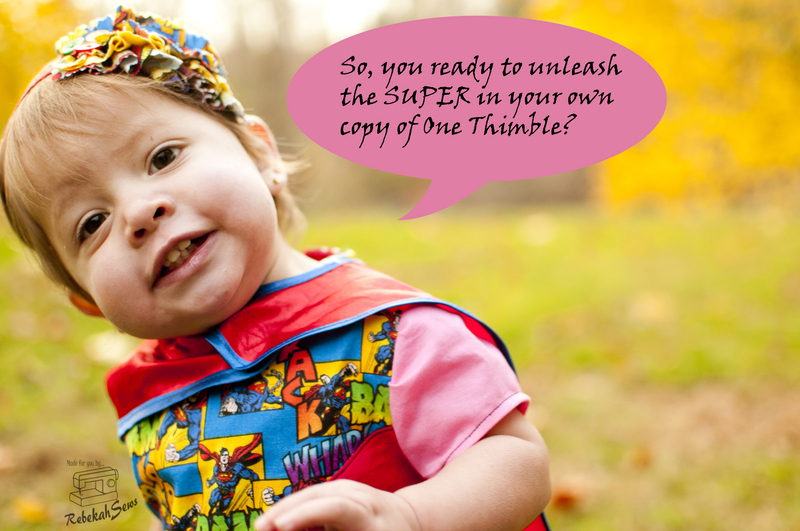 Having a Little Superhero Fun with One Thimble! Have you heard of One Thimble? No? Well it’s a good thing you are reading this today then! I first heard of One Thimble when they first started publishing; however I had yet to have the chance to actually get a copy and see what it is like until now. Wondering what it is? 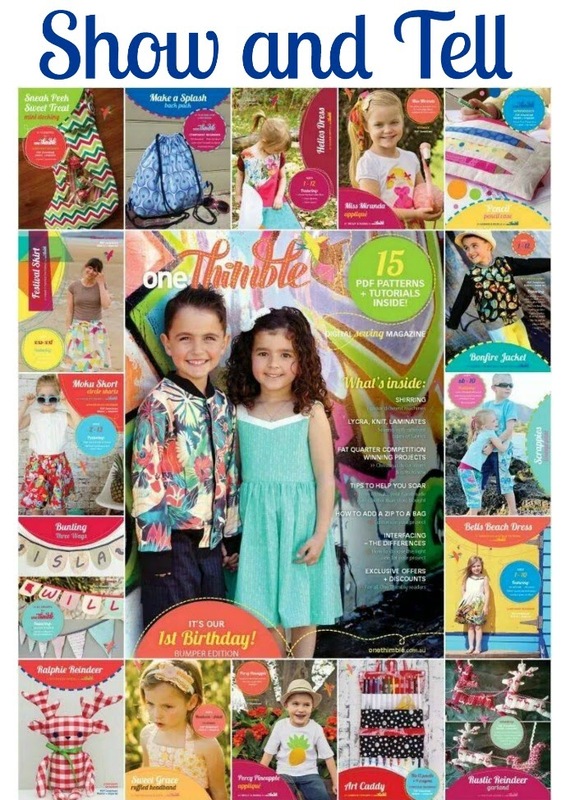 It’s an e-zine- which is a digital sewing magazine for sewing enthusiasts! I wasn’t sure exactly what to expect. Do you know how many magazines I’ve gotten and still haven’t read? Tons! I knew they included lots of patterns in their issues and there were articles as well, but with magazines you never know if you will actually find something in there just for you. You know what I mean? Well, let me say that I just loved reading this issue and now I WANT MORE! The articles are diverse on topics so that they can “talk” to us whether we are professionals who sell our items or just getting our feet wet in the sewing world. Tips, tricks, tutorials, suppliers, you name it it’s in there. Even exclusive discounts! This particular issue even has Christmas goodies for the holiday season! Now before I jump straight into what I sewed out of the issue I want to give a little shout out to one particular tutorial that I LOVED! It’s called The Practical Guide to Serger Cleaning & Oiling. I am very horrible on keeping my serger cleaned. And I will admit, please don’t judge, I think the only time I have ever cleaned by serger is when it was taken to the shop for maintenance (which I guess means I didn‘t really clean it…). Yes, I am a horrible serger mother. I am hoping to set this straight soon though as this tutorial makes cleaning your serger look so easy. I didn’t even think that my tensions were off because it was dirty! It makes sense though! 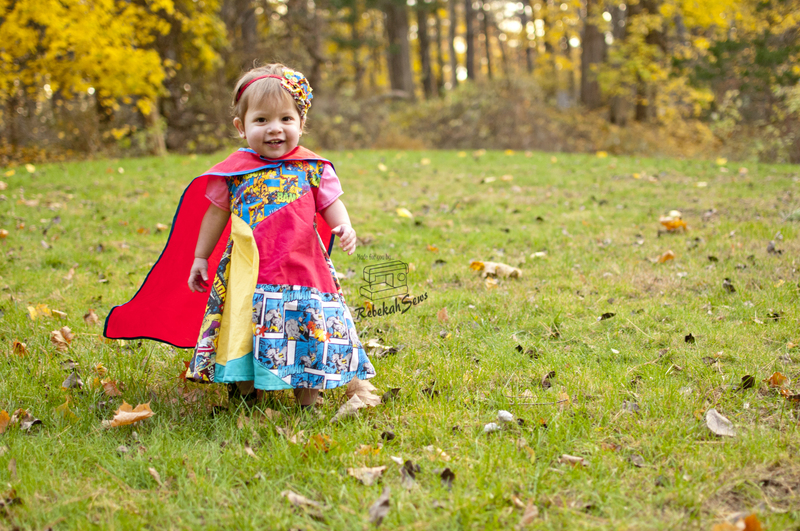 Now in order to celebrate the amazingness (yes, I created a word) of One Thimble I created a girl superhero look using two of the patterns in the e-zine. 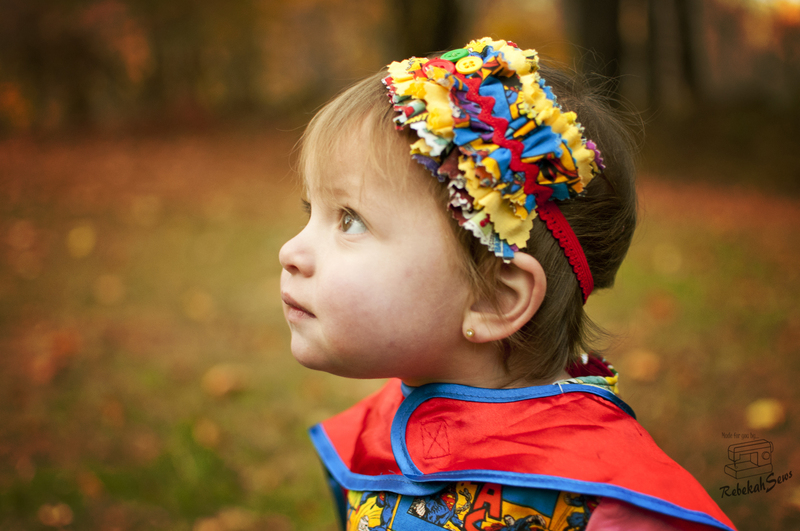 These are the Helios Dress by Golden Rippy and the Sweet Grace Ruffled Headband by Snickerdoodle Stew. The Helios Dress is just plain fun! It is a tent style dress with a zipper in back , which by the way, isn’t hard to install at all. 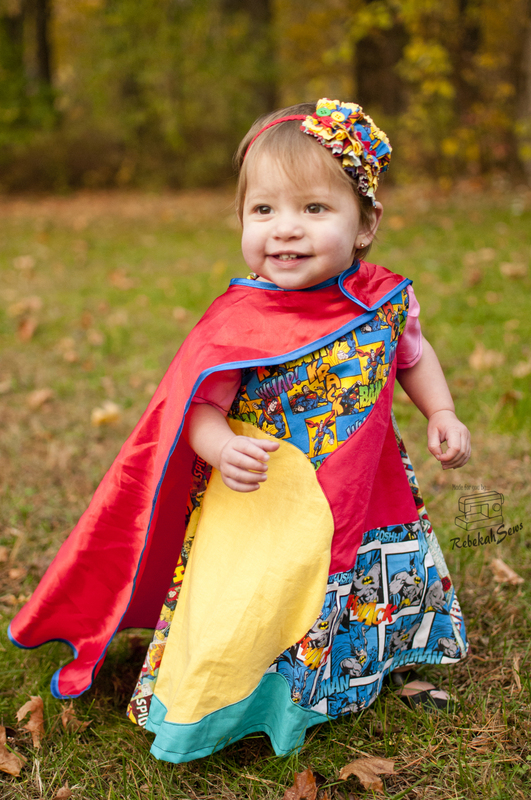 This comes in sizes 1-12yrs too! It’s long in my girl as she’s short. I didn’t try to shorten it either as with the pieces front I’m not sure how that would work. I actually love the maxi look though! 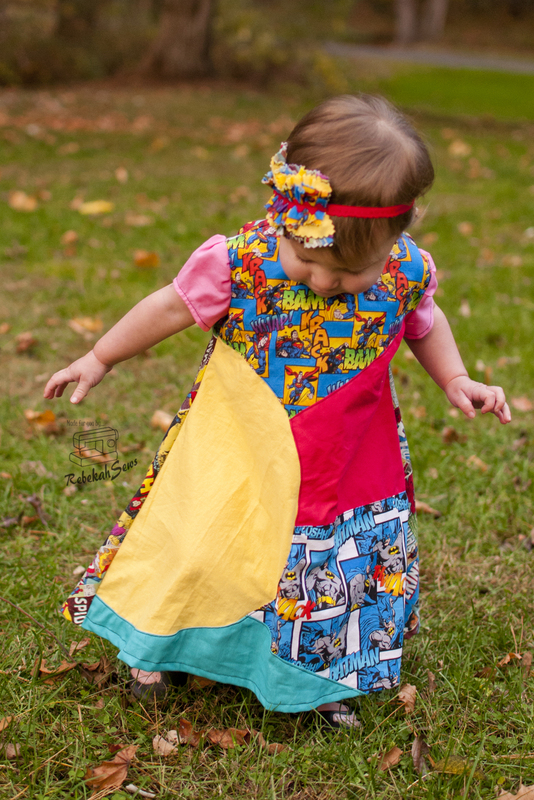 The sun flare color blocking on the front just screams summer, however don’t let that stop you from having fun with a variety of different fabrics for tons of different looks. 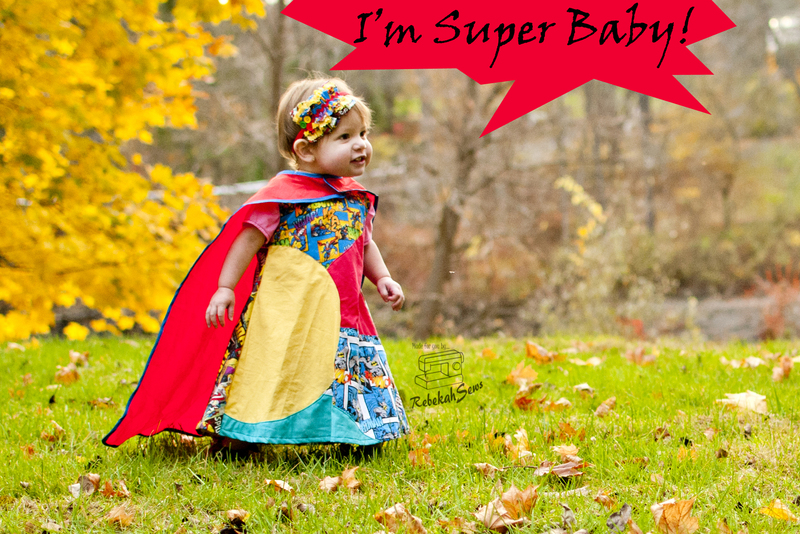 It is SUPER fun to create a personalized look for your special girl! 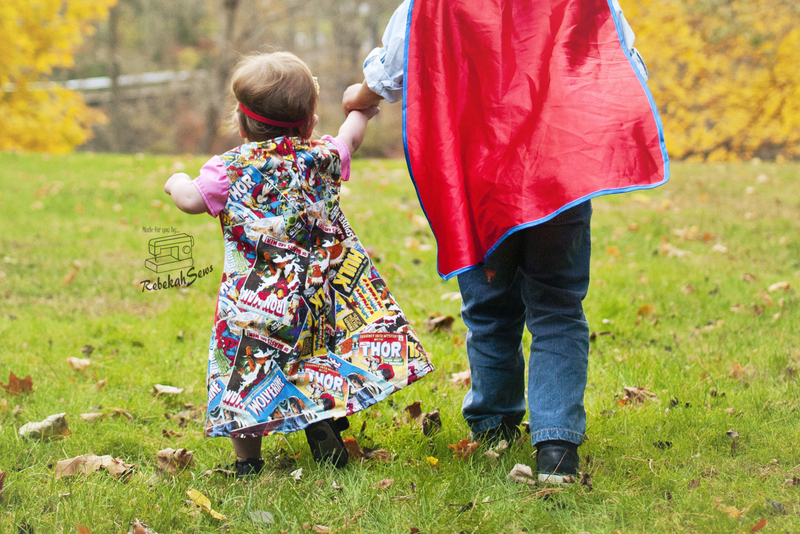 My girl loves her brothers and playing with their toys which includes their superheroes It is only fitting to make a superhero themed dress in honor of her brothers as they are like her superheroes, especially her youngest older brother. 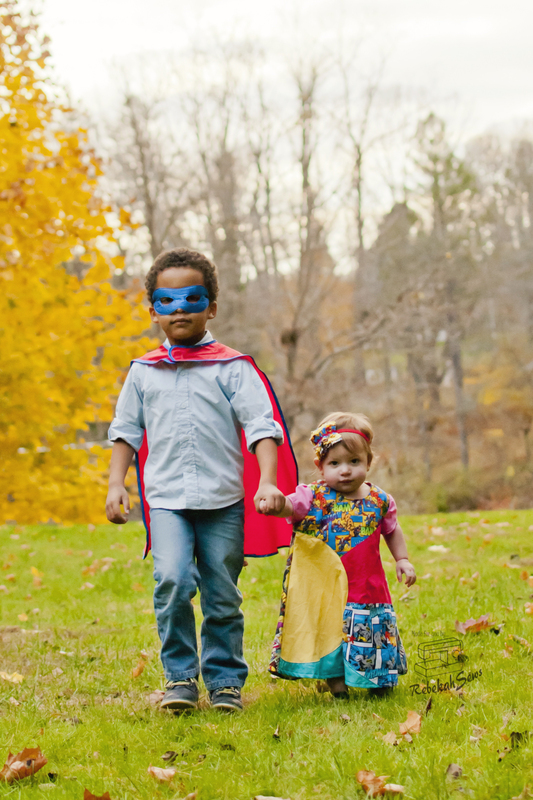 She is like a sidekick to him! Can you tell? 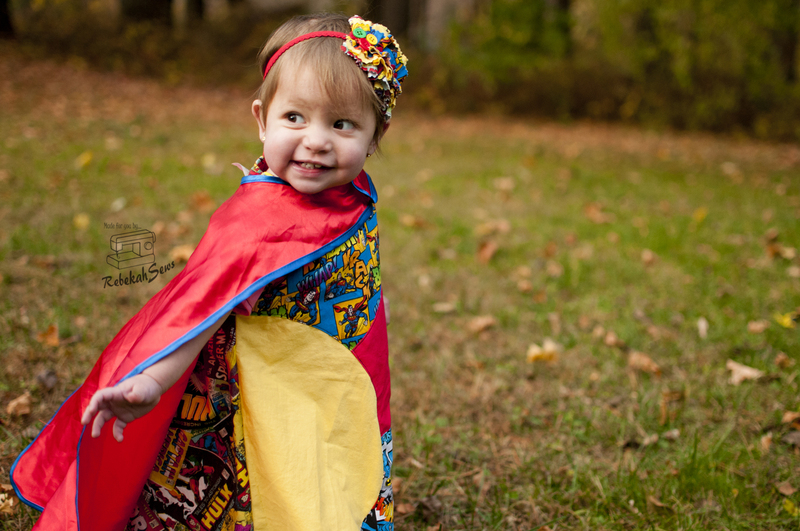 Every super baby needs a super accessory! 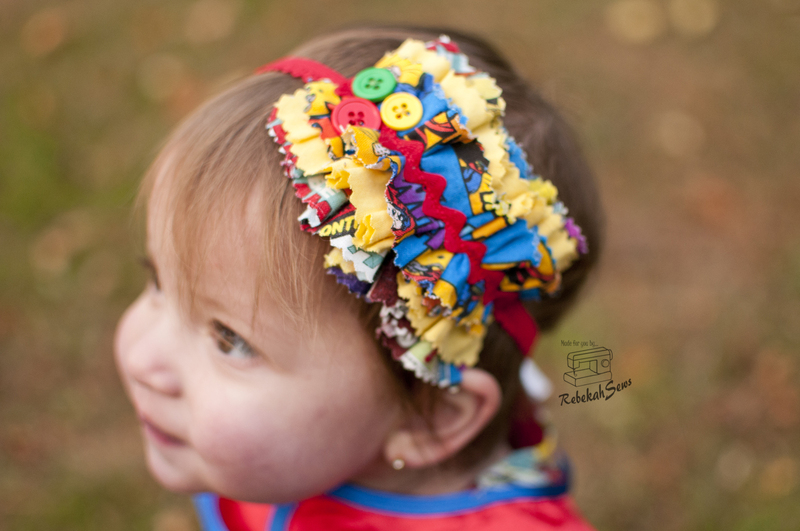 Sweet Grace Ruffled Headband to the rescue! 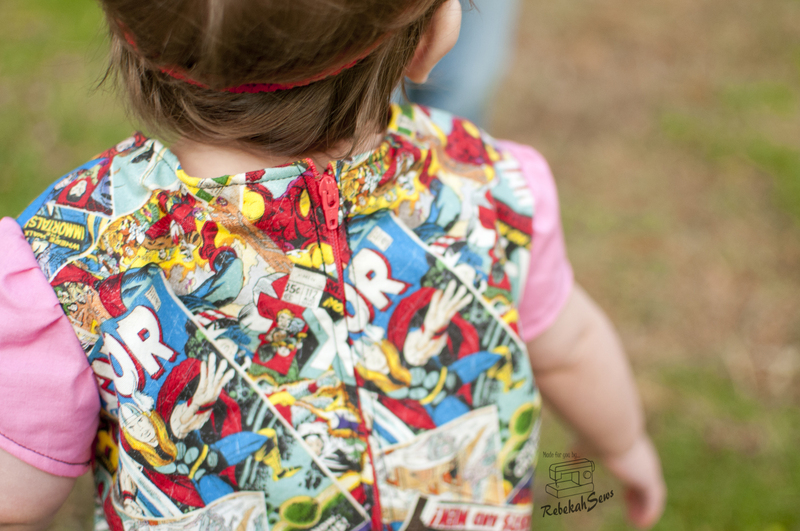 The pattern is a SUPER easy and SUPER quick that gives a SUPER cute look all while using scraps of fabric and trims. It works for any sweet girl from newborn to adult. I love the versatility of this one. You can change the look by how you finish the ruffles, how many layers, trim option, and button option. This headband alone could go with every single creation and still give a different look each time! Ready to get your own copy?? You won’t be disappointed! 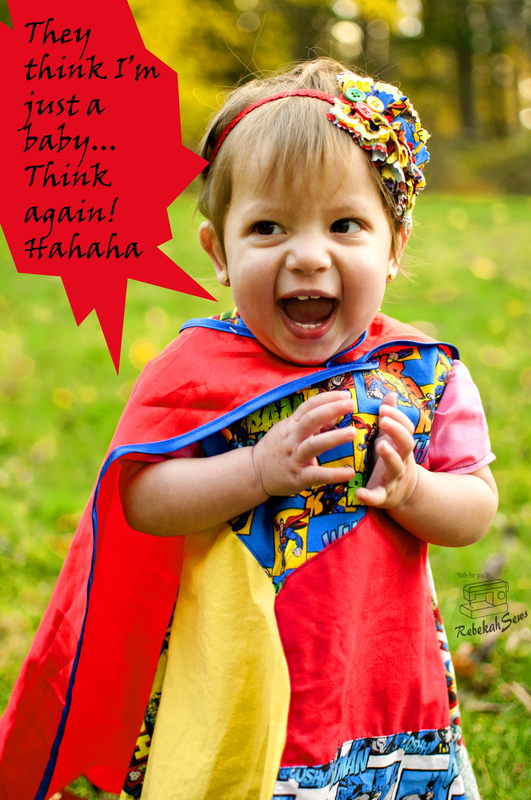 The articles, tips, tricks, guides (there is an interfacing guide!! That cleared up a lot of my interfacing questions! ), and so much more are all super helpful and great for any level you may be at on your sewing journey. You can get your copy here! There is also a Rafflecopter giveaway for a chance to win your own copy so don’t forget to enter and tell your friends about it too! Now off to start my next project! Happy Sewing! Oh don’t forget to check out all the stops on the tour. So much eye candy! 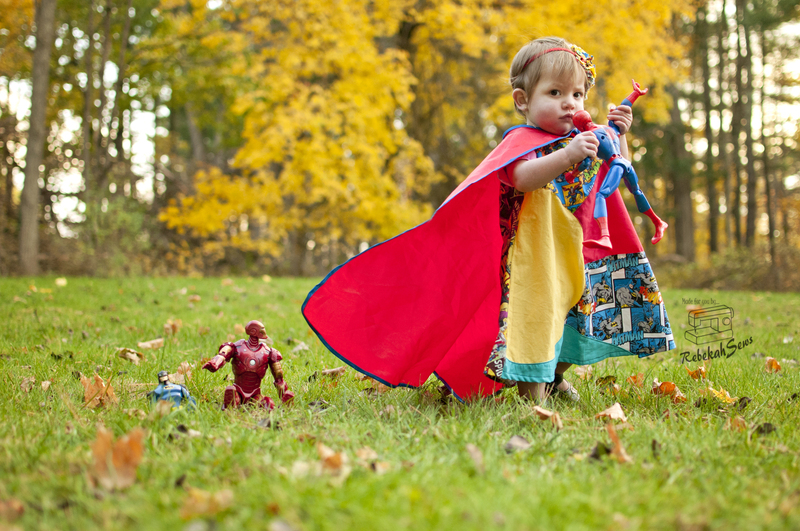 Shhh…don’t tell my brothers I have their toys again! I love the Helios dress and this is such a fun version! And of course, I’m a little biased on the headband…. ;) Great job! Love them! You did such a nice job! 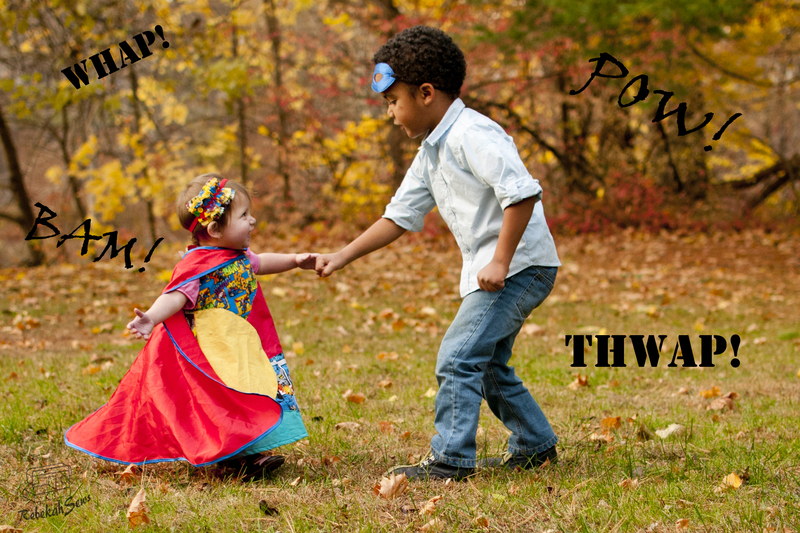 I love outfits that kids can really get in to! What a fabulous outfit! Finally cleaned my serger! The results are like night and day. I love hearing that sweet purr again! Thank you! !